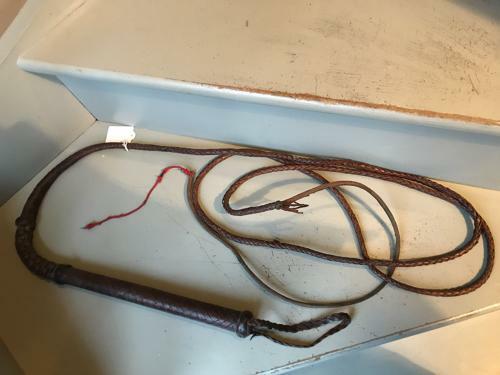 One of a pair of old Cow Droving whips I bought recently. This whip is long and of plaited leather with it's original end tastle. Used to driving cows to market.